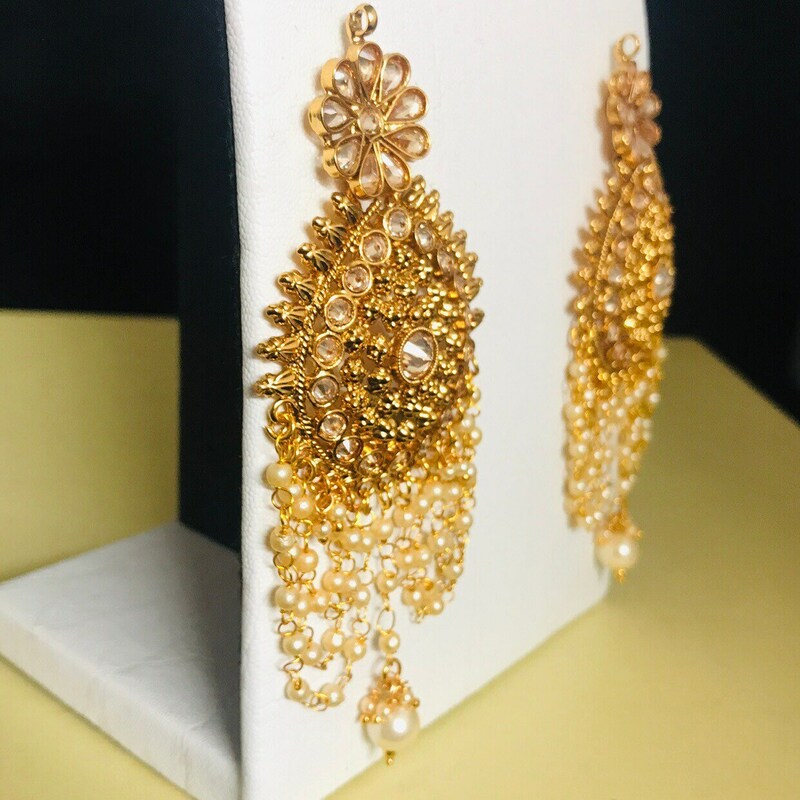 High quality handcrafted Pair of earrings for pierced ears only. 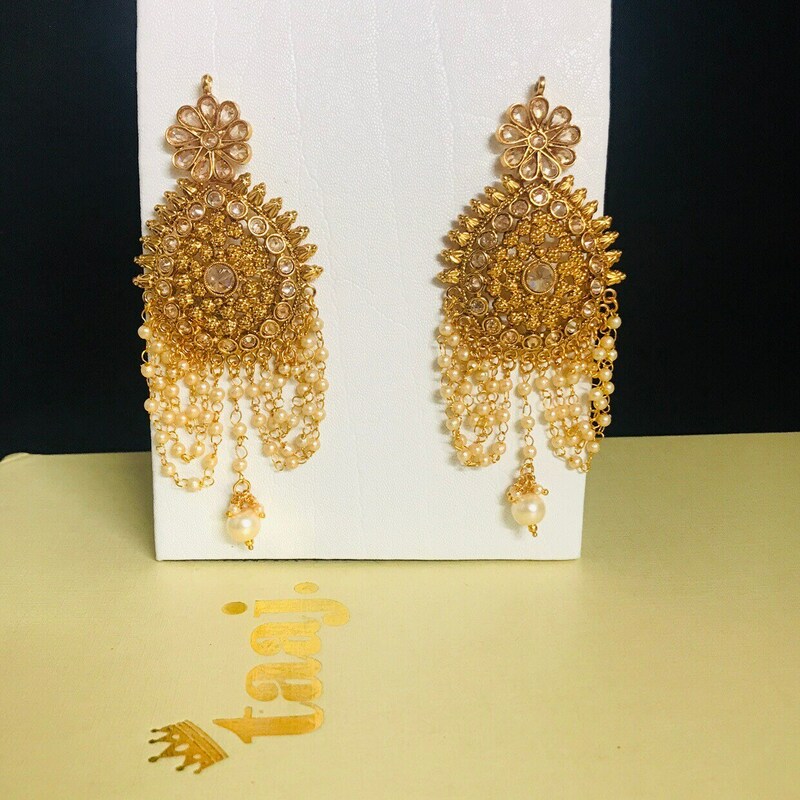 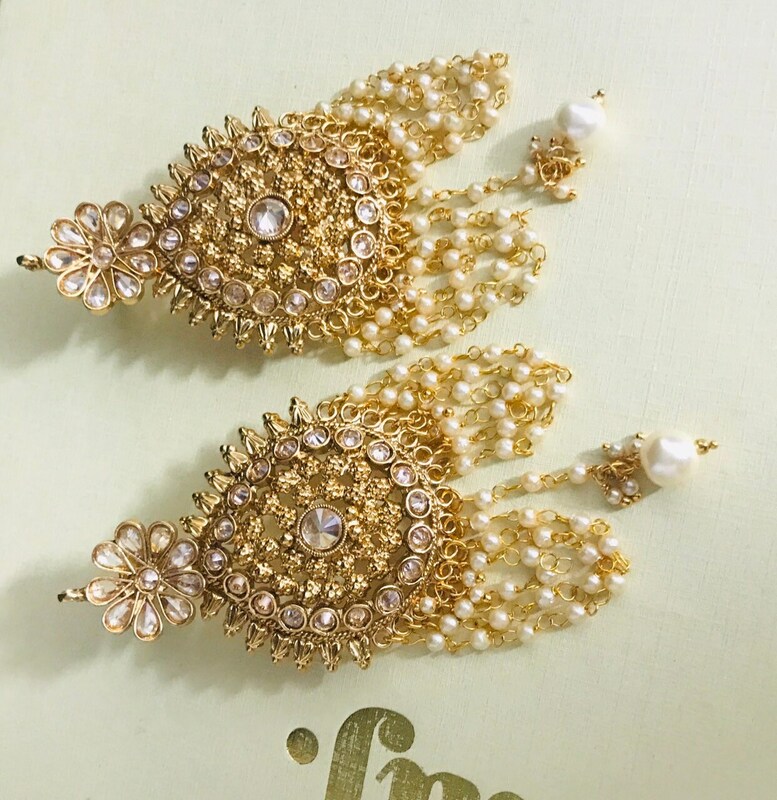 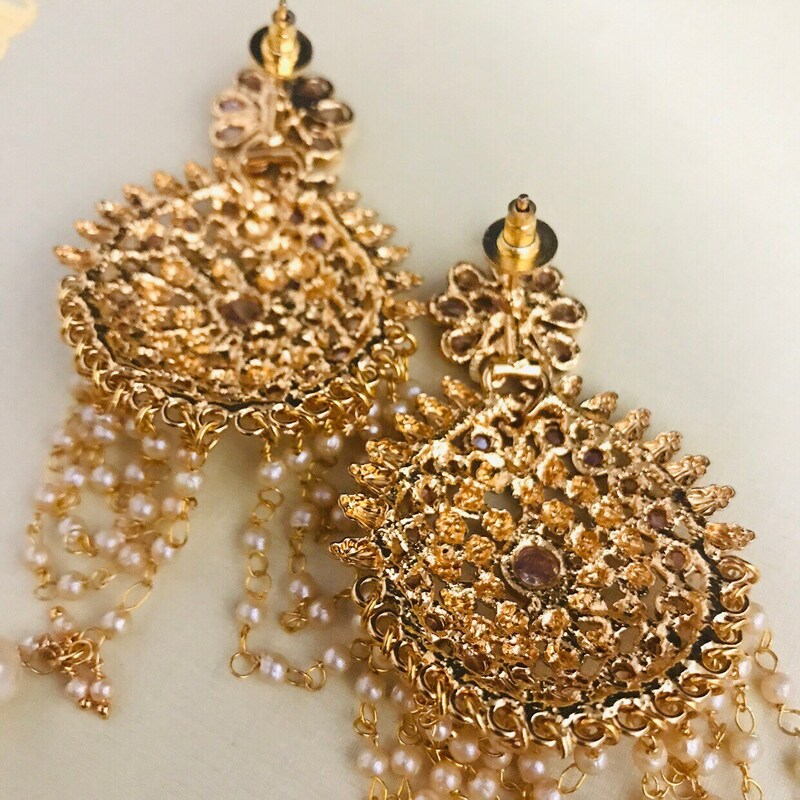 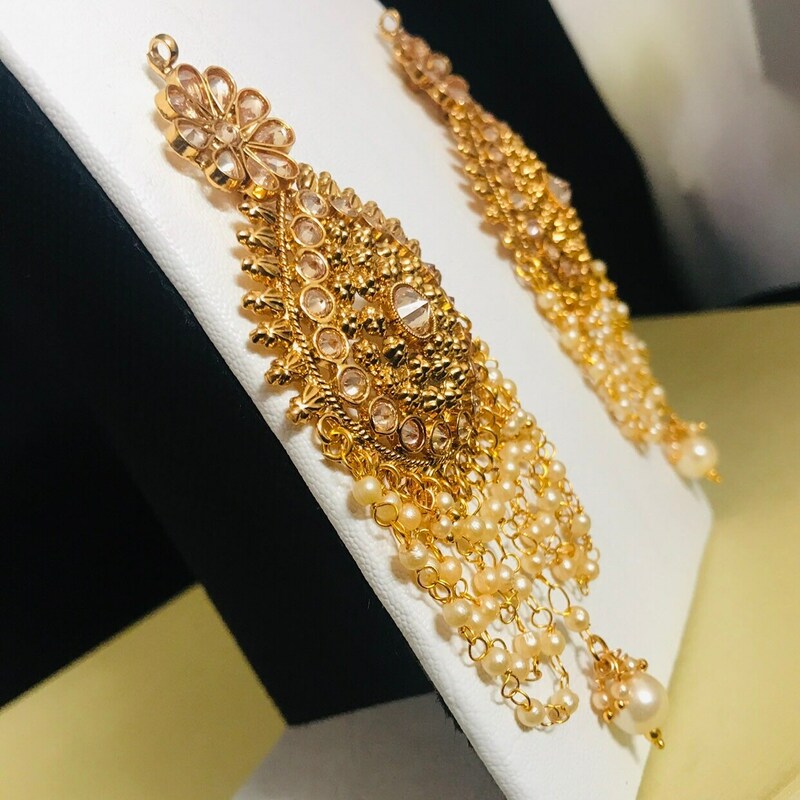 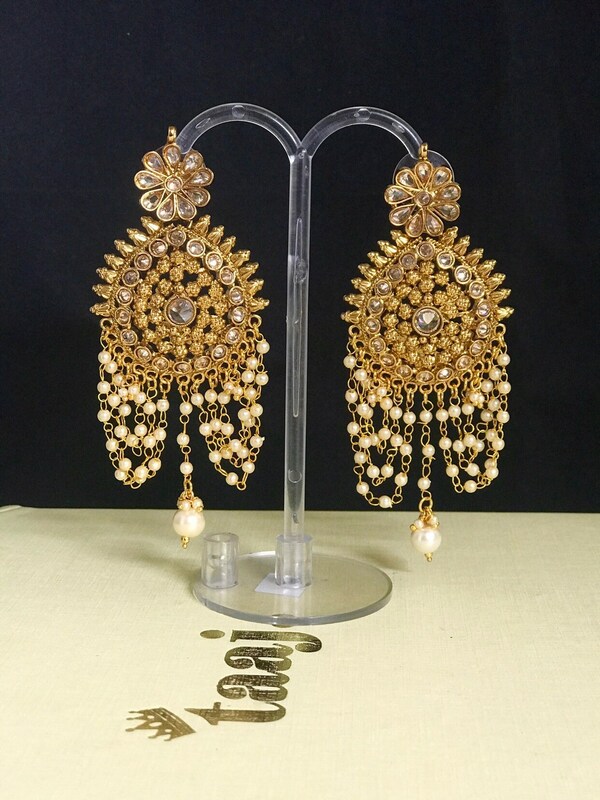 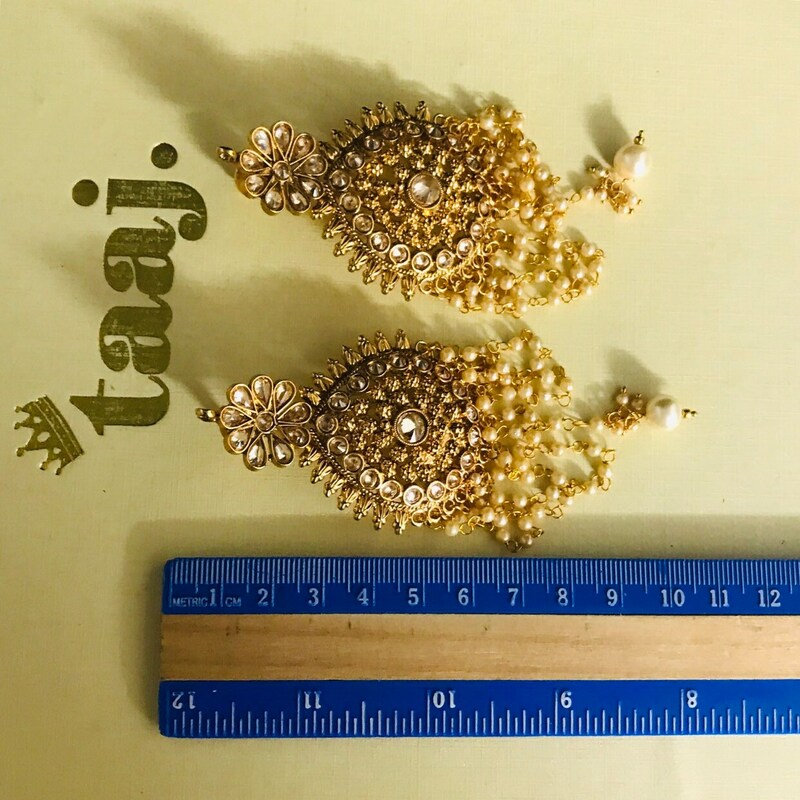 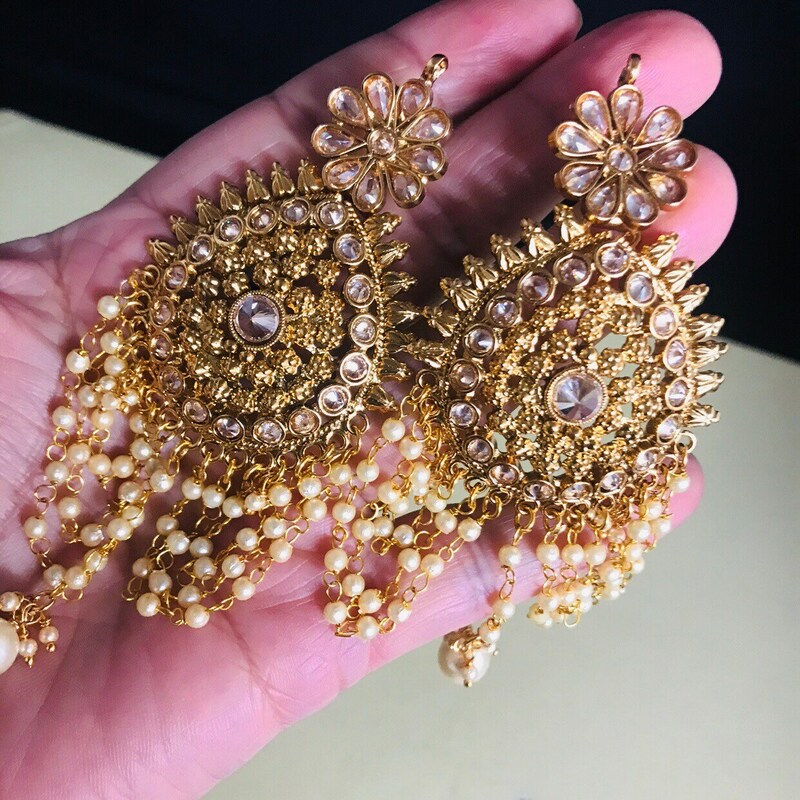 Gold coloured earrings with champagne gold polki/zirconia/ kundan stones. 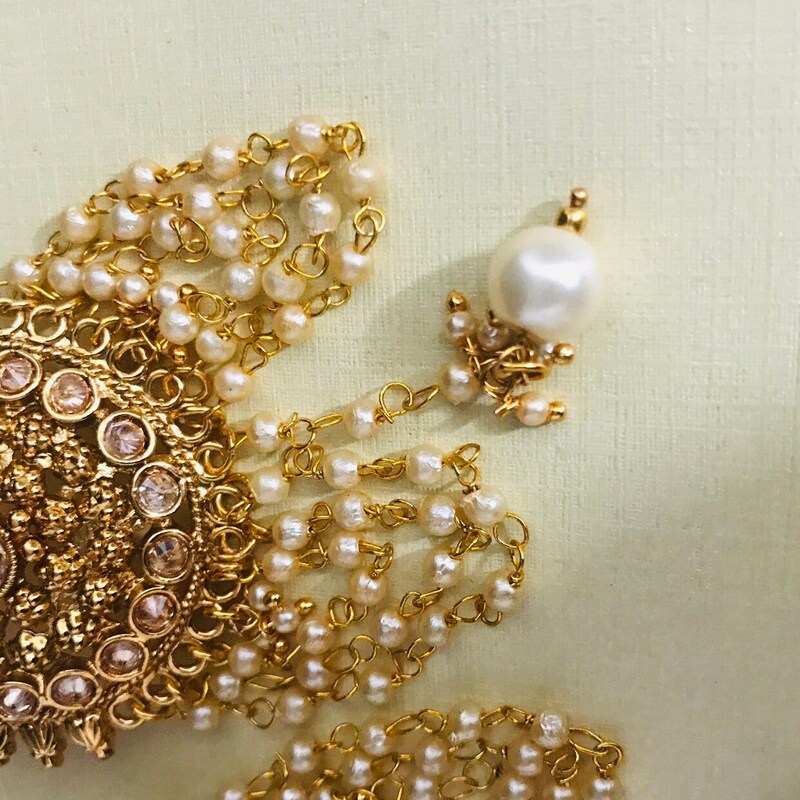 Light weight ivory pearl bead strand with centre ivory colour pearl droplet. 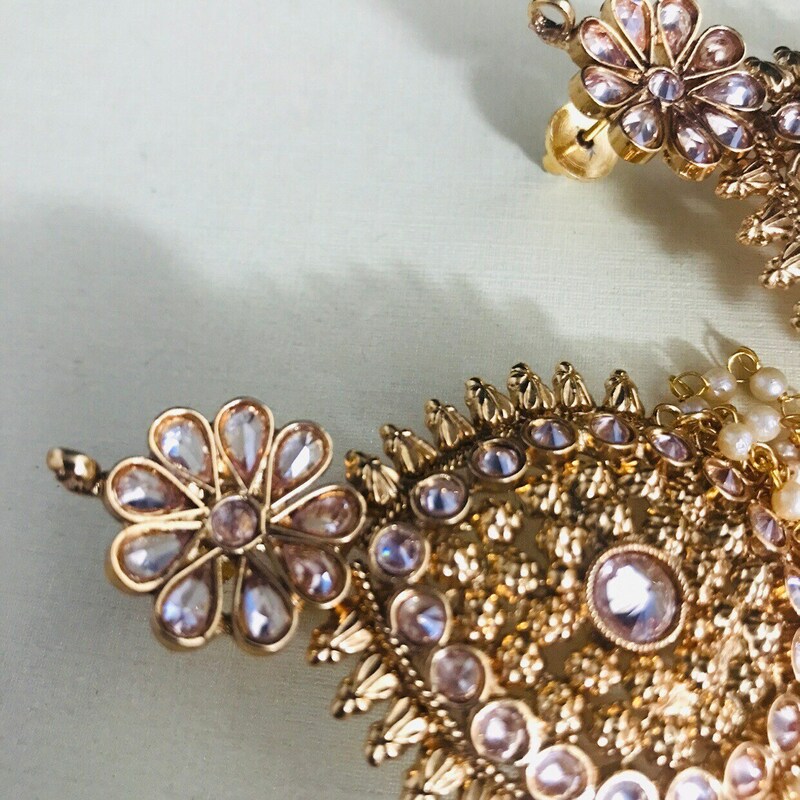 ALL ITEMS REQUIRE A SIGNATURE UPON DELIVERY.ITEMS NOT COLLECTED OR ACCEPTED WILL NOT BE REFUNDED.